Typing on the Galaxy Book 2’s bundled keyboard is surprisingly decent. Each key offers a rather spacious landing pad for your fingers, with pleasing key travel and resiliency. (I wouldn’t be surprised if the keyboard were simply a holdover from the first-generation Galaxy Book.) The keyboard does flex considerably, though the movement felt more akin to the springiness of an athletic shoe rather than the sag of an old bed.The trackpad is mediocre, however, and it feels small and somewhat unresponsive. The Samsung Galaxy Book’s keyboard is surprisingly comfy, and the trackpad is serviceable. Samsung has adopted the now-traditional double-folding hinge, which connects the keyboard to the tablet. As someone who prefers a slightly angled keyboard, the ease with which the keyboard unhinges is annoying —there’s even a hidden Samsung label that makes me think the behavior’s intentional. 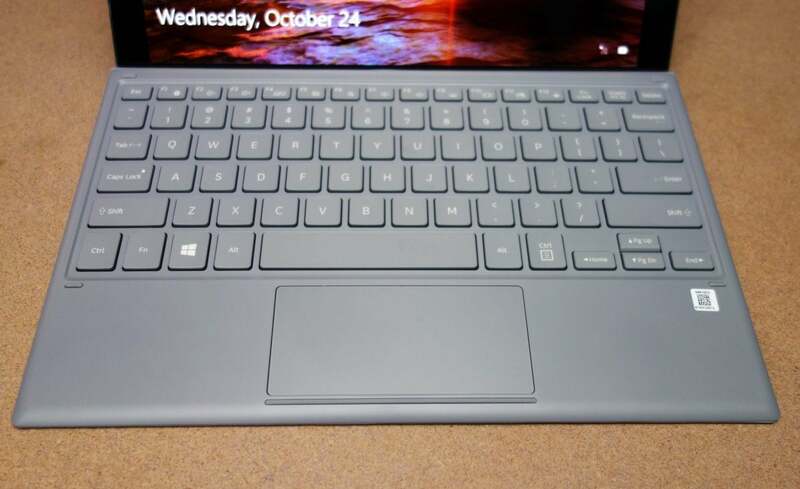 But the final magnetic connector holding the keyboard in place is pretty close to rock-solid, leading me to believe that you could work with it on your lap for prolonged lengths of time. The hinged kickstand reclines way back, almost but not quite flat. I’m impressed with the Galaxy Book 2’s speakers. Granted, because of the physical limitations of a tablet, they can’t really deliver even the low-end oomph of a connected speaker like the Harman/Kardon Invoke. But even without any augmentation, the range of sound the Book 2’s speakers deliver is relatively balanced, with good volume. They improve even further with the included Dolby Atmos augmentation—which, somewhat surprisingly, ships off by default and needs to be enabled with an app. With Dolby Atmos enabled, the Book 2 delivers a fairly rich soundscape, from highs to lows. Connectivity issues aside, however, the fact remains that the Galaxy Book 2 ships with the usual complement of bloatware (Candy Crush, Candy Crush Soda Saga, Disney Magic Kingdoms, etc. ), which you’ll want to delete immediately. There’s also the built-in Samsung apps, which we discussed in more detail under the “Bundled apps” section of our original Galaxy Book review. 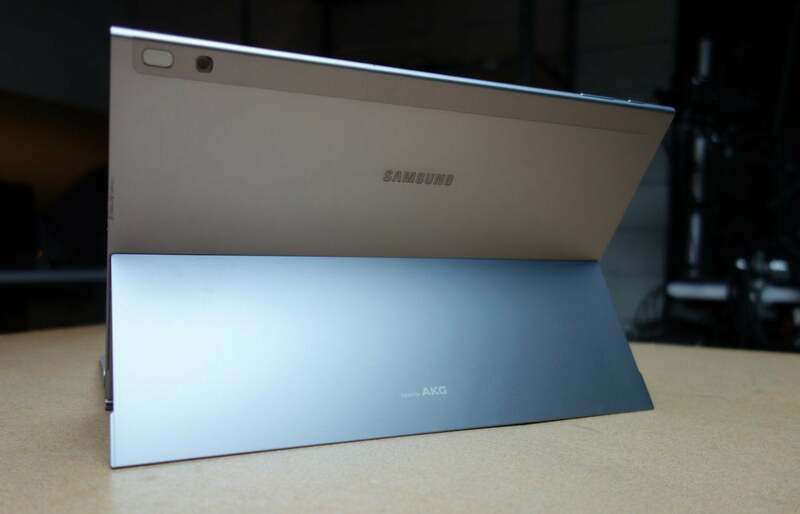 These are more forgivable, especially the Galaxy Book app that ships with some minimal configuration options, such as adjusting the display color warmth or preventing the Galaxy Book 2 from charging more than 85 percent to preserve the longevity of the battery. Samsung’s pen slips inside this large plastic holder, which apparently just roams free inside your bag. Samsung shipped the Galaxy Book 2 with Samsung Flow, which works to unlock your PC using your phone—something that Windows Hello should make redundant? Samsung Gallery also works somewhat like the Your Phone app within Windows: Originally designed as a conduit to pass photos taken with a Galaxy phone to your Galaxy Book 2, it now can use a more generic Bluetooth connection via a Google Play app that can be downloaded by any compatible Android phone. The first Galaxy Book shipped with an S-Pen, bundled as a discrete accessory. I criticized the lack of integration. 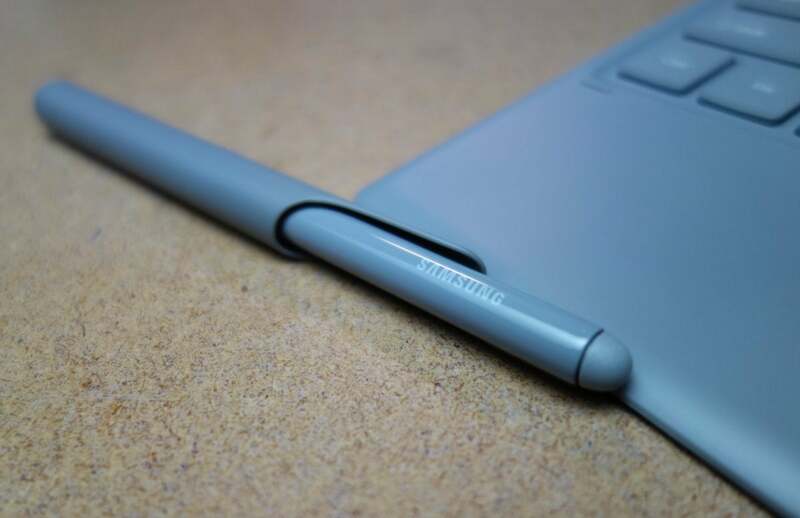 The more recent Samsung Notebook 9 Pen adopted the built-in pen holster used by the Galaxy Note phones and tablets, which I happily applauded until I accidentally jammed the S-Pen wrong-way in. The Galaxy Book 2 uses an odd sleeve apparently re-purposed from a meat thermometer... and, well, given my past history, I’m okay with that. 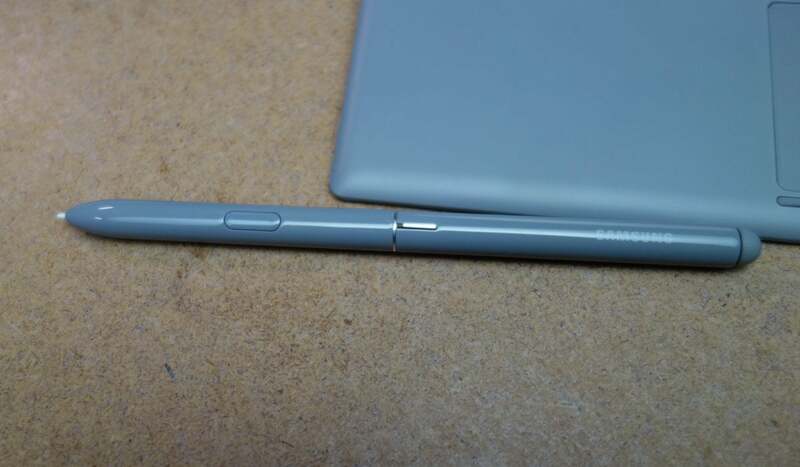 It might have been nicer with an accent color, or perhaps a clip of some sort, but Samsung’s Brutalist design should stop absent-minded reviewers from stuffing the S-Pen where it shouldn’t go. Here’s the pen, out of its case. What about benchmarks? Keep reading to find out. Samsung’s choice to move from an Intel Core i5 CPU to a mobile chip shifts the emphasis from performance—where the first Galaxy Book did very well—to battery life. It’s our first test of the new, next-gen Qualcomm Snapdragon 850, which promises “multi-day” battery life as well as more speed. 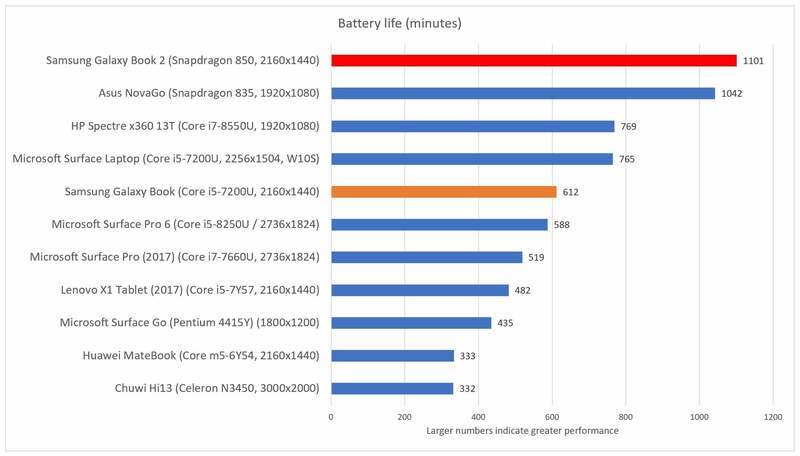 Does the new Snapdragon 850 have enough oomph for you to be happy? Well, it depends. Due to the anemic processor and low system memory, web browsing is generally acceptable with limited tabs. Office work, like word processing, is just fine. YouTube videos are child’s play—there’s a special video decode engine in the Adreno graphics chip, and a 1080p video consumed about a third of its resources. Games? Don’t count on it, especially anything really modern. 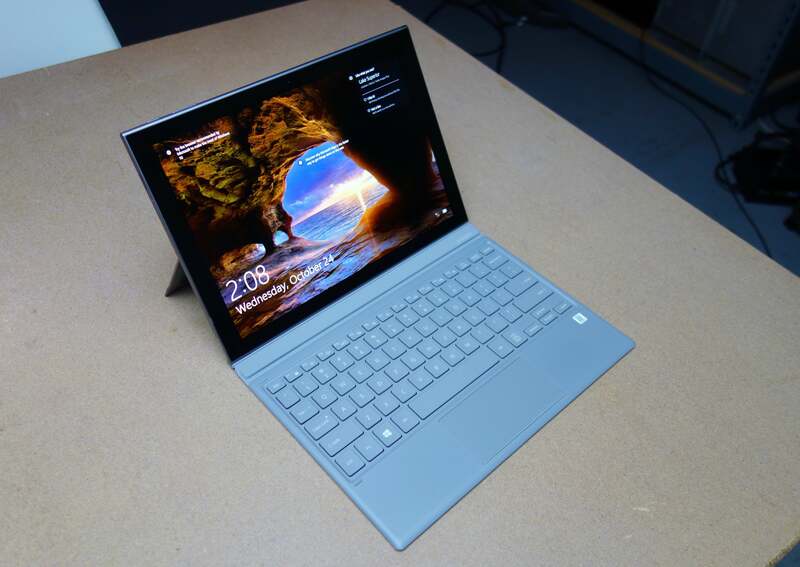 What our tests indicate so far is that the $999 Galaxy Book 2’s performance is in the neighborhood of the $399 Microsoft Surface Go, which is a “good-enough” small-form-factor tablet in its own right. Remember, too, that the Book 2’s battery life pretty much blows everything else away—it’s over twice that of the Surface Go’s! One caveat: Samsung says it will ship its new Galaxy Book 2 with Windows 10 Home in S Mode, but it inexplicably shipped ours with Windows 10 Home enabled—which we noticed after running several of the browser-based tests we’d normally use for testing a Windows 10 S PC. It’s possible that running Windows 10 Home rather than Windows 10 Home in S Mode may invalidate these results—S Mode is supposedly a more optimized environment, but it doesn’t allow for any apps outside of the Microsoft Store. But they seem consistent with our more traditional benchmarks. Because these are browser-based benchmarks, we can compare the Book 2 to non-Windows devices, “first”-generation Snapdragon-powered PCs like the Asus NovaGo, and even Apple devices and an Android tablet. Note that though we didn’t have an opportunity to run our full suite of benchmarks for our original hands-on, we made sure we ran them all for this, our review. We were pretty sure that our initial tests would be indicative of final performance, but we were slightly mistaken—battery life actually increased. These tests reflect those numbers. Samsung’s Galaxy Book 2 finishes in the middle of the pack of these devices, though these generally lean toward older PCs and Macs. Here, the Samsung Galaxy Book 2 starts showing the performance tradeoffs the Qualcomm Snapdragon 845 chip made. We’ve included both versions of the older Speedometer benchmark, designed to measure the responsiveness of web applications. (In real-world browser use, the Book 2 felt as responsive as a much more powerful laptop, especially when using Microsoft Edge.) 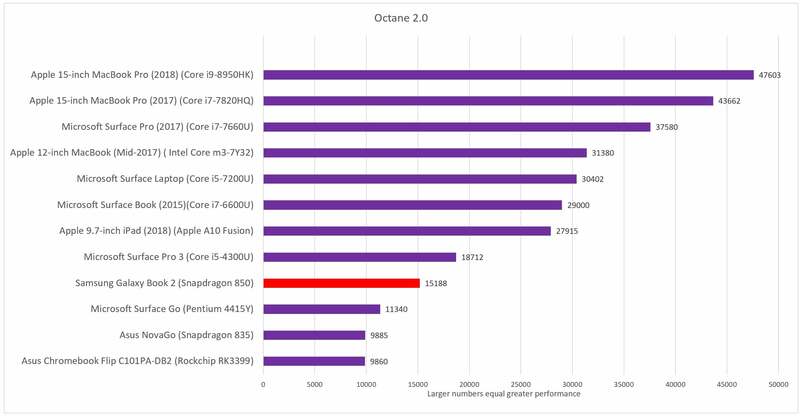 Google’s deprecated Octane benchmark was also tested. 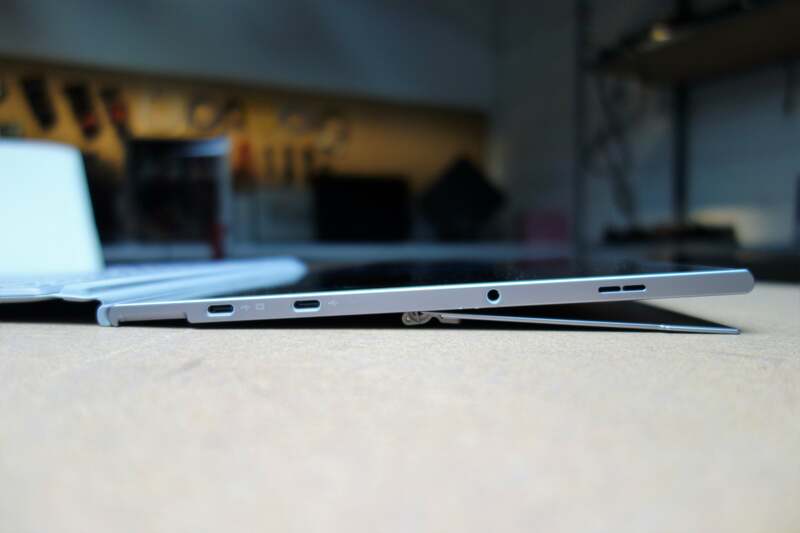 In both cases, the Galaxy Book 2 lands at the top of the bottom (or lower middle, if you’re a glass-half-full sort of person), as seems to be the general trend for it. 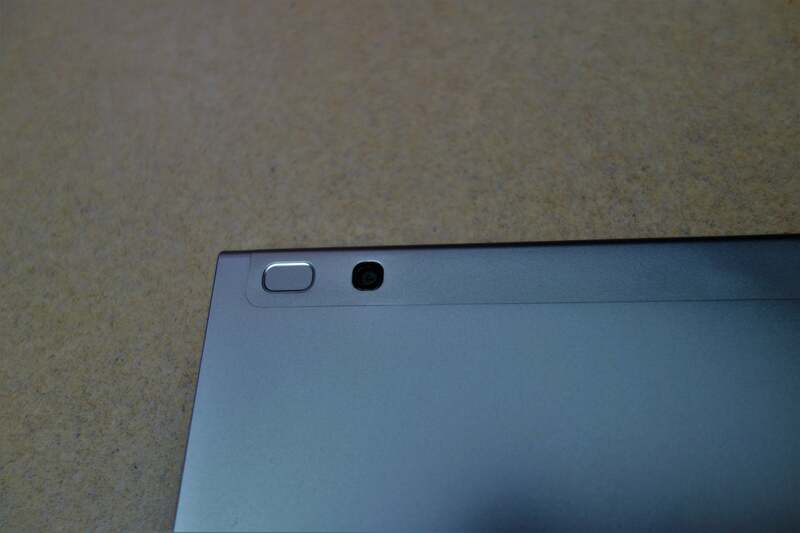 You can see the trend: The Samsung Galaxy Book 2 finishes near, but not at, the bottom of the pack. 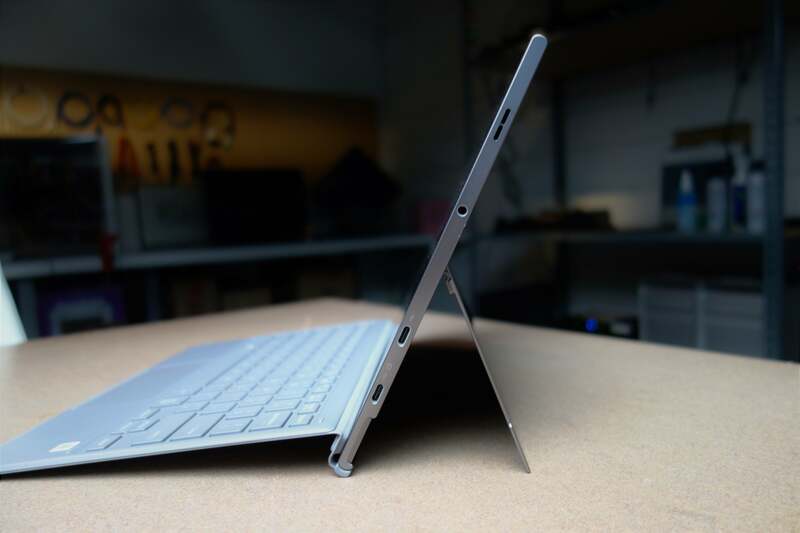 Here, though, it outperforms the Surface Go. 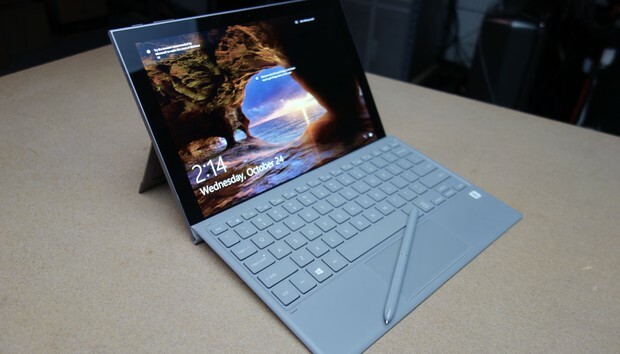 As I noted in my review of the Microsoft Surface Go and Windows 10’s October 2018 Update, Microsoft’s Edge browser now feels fast and responsive—and with the Galaxy Book 2, you need all the help you can get. There’s a real difference in how the Galaxy Book 2 feels in terms of the browser you use with it. I was able to open ten media-rich tabs in Edge, and the browser felt fast and responsive, able to navigate most pages within a second—even bouncing back to older tabs. Occasionally, the images would take a bit longer to load, though, I was able to scroll up and down the page. Oddly, it was slow to close the application. Chrome, meanwhile, felt much, much slower, and pages took quite a while to open completely. That may have to do with how Chrome “sandboxes” each tab, and Chrome’s reputation for gobbling memory won’t help in a 4GB machine like the Galaxy Book 2. It’s a markedly different experience. We’ve compared the Galaxy Book 2 (in red) to a number of tablets, including the first-generation Galaxy Book, which we’ve highlighted as well (in orange). The gulf between the Intel Core i5 in the first generation and the Qualcomm Snapdragon 850 in the second generation is wide. The PCMark Work test measures spreadsheet performance, Word processing, web browsing, and VOIP calls, which is pretty critical. 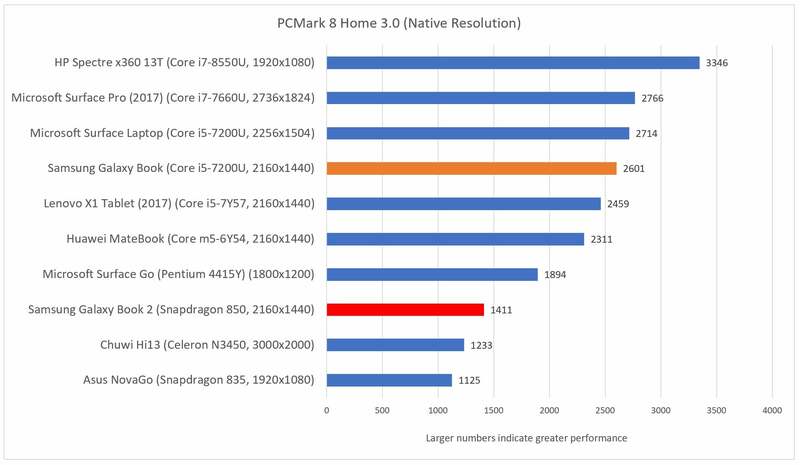 The Home test, which adds some light gaming and image manipulation, puts some additional stress on the Adreno GPU. 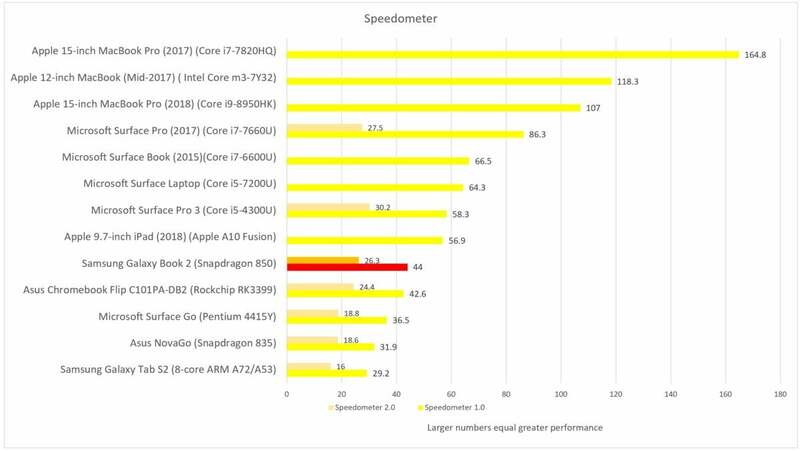 As you can see, Samsung took a huge cut in performance by moving from the Intel Core i5 to the Qualcomm Snapdragon 850. The Snapdragon 835 in the Asus NovaGo was the prior-generation chip. 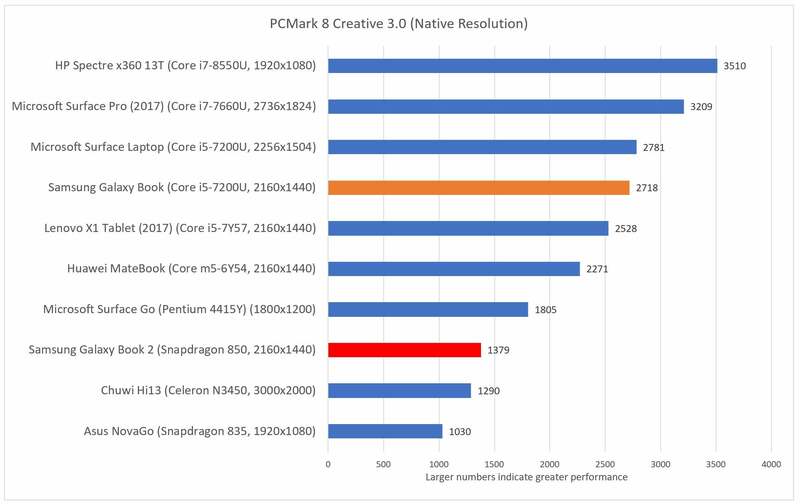 We also tested the Book 2 with the PCMark Creative test, the most stressful of the three in terms of overall performance. It measures image manipulation and video editing, light gaming, and VOIP calls. Again, the Book 2 can’t keep up with Intel Core-powered laptops and tablets. From a performance standpoint, you’d probably prefer the older Samsung Galaxy Book. 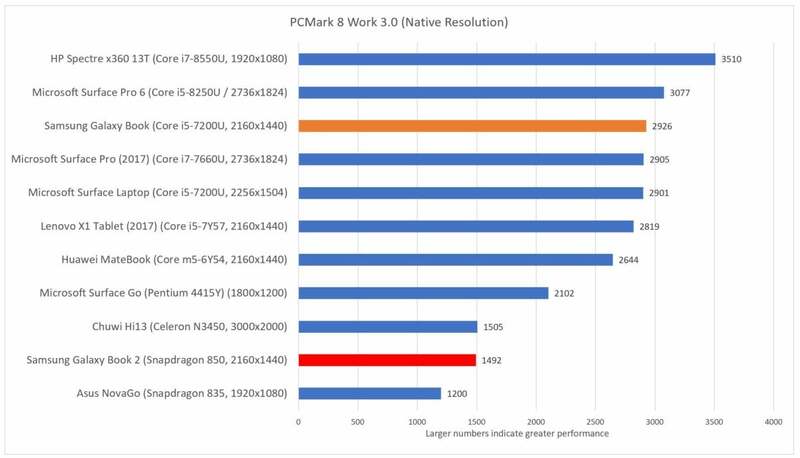 Still, the Snapdragon 850 does substantially outperform the Asus NovaGo and its Snapdragon 835 chip. 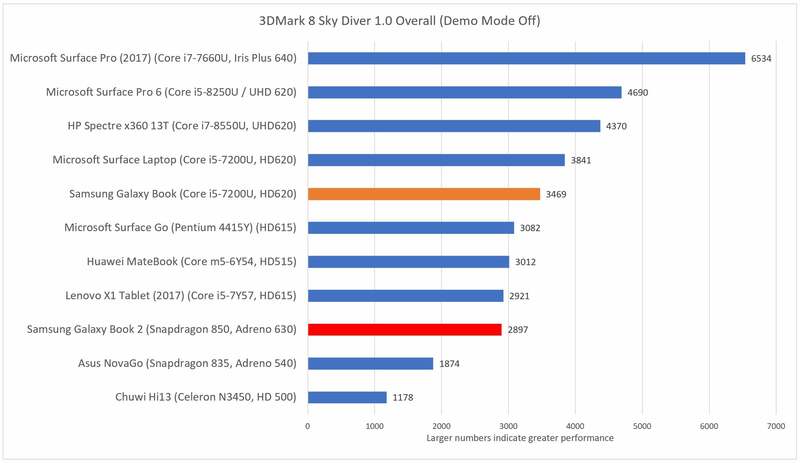 The 3DMark Sky Diver tests assesses how well a laptop or chip would do in 3D gaming performance. 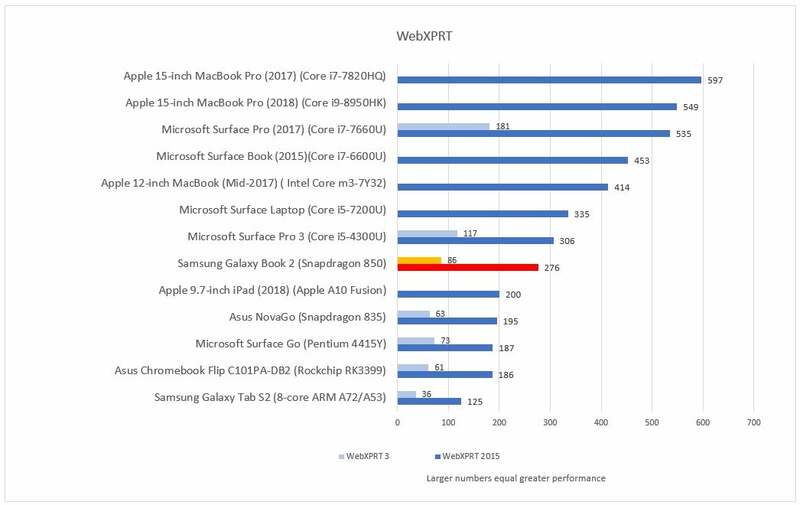 These results should tell you that gaming simply isn’t the Galaxy Book 2’s emphasis. The Adreno GPU has no problem with video decoding, however, which isn’t measured here. 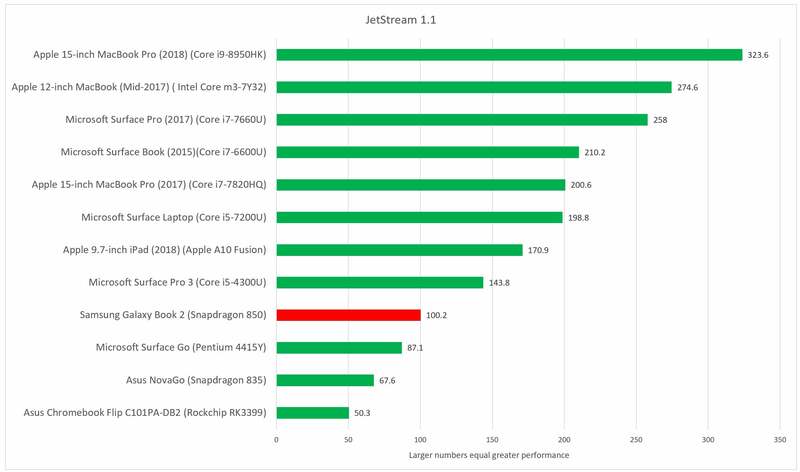 The good news here is that a number of tablets are very, very close to the Galaxy Book 2 in terms of GPU performance. Will the Galaxy Book play a simple card-based game like Hearthstone? It should. But forget anything with complex 3D graphics. But wait! We finally come to the piece de resistance of the Samsung Galaxy Book 2, and the Qualcomm Snapdragon chips: battery life. This is why you should be interested in the Galaxy Book 2, and it’s here that it will pay you back in spades. We use a light meter to establish a standardized level of light output for comfortable viewing, then loop a 4K movie (with headphones connected and volume at its middle setting) until the battery expires. The Samsung Galaxy Book 2 delivers, and then some: 17 hours and 12 minutes of battery life. That’s almost in a league of its own. Retesting the battery life of the Samsung Galaxy Book 2—remember, these things take a while!—confirmed that the battery life is the best we’ve seen yet: 18 hours and 21 minutes. 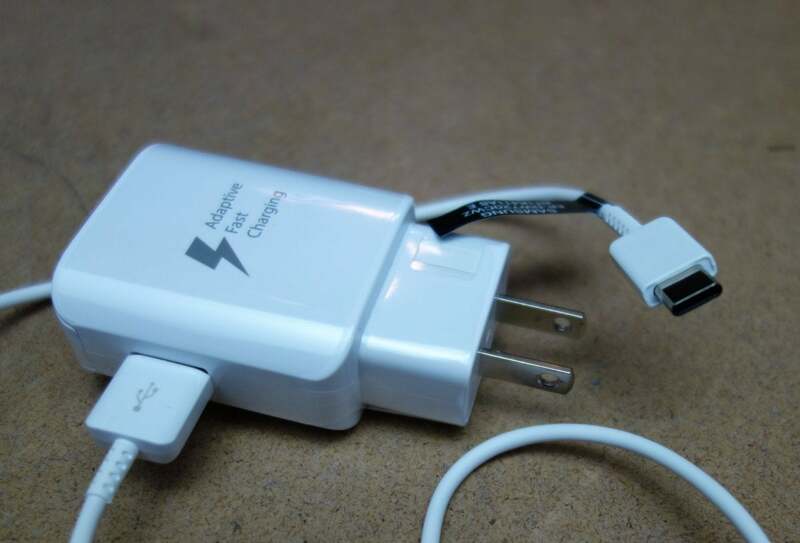 One thing we don’t like, though: Supposedly the Galaxy Book 2 ships with a “Fast Charging” smartphone-style USB-C 1-amp charger. When Windows reports that it will require over 3 hours to charge the laptop, we have to wonder if Samsung should rethink the branding. The Samsung Galaxy Book 2’s charger should look familiar to smartphone owners. The Samsung Galaxy Book 2 delivers fantastic battery life, marginal performance, a lovely display, and optional LTE. If you’re not doing much more with it than office work and web browsing, we see no reason not to buy it. We still encounter some apps that simply won’t run on a Snapdragon chip, though, and we’re hesitant to recommend anything that may yield a similar experience. Buying a notebook or tablet that can’t run the one app you need is a frustrating experience. Though it never quite crested our Editor’s Choice awards, the original Galaxy Book was a solid all-round effort. Samsung’s leaned heavily toward battery life this time around, at the expense of performance and slight app compatibility. Don’t forget the price, either—$999 isn’t bad, which includes the keyboard and pen. Performance issues left a sour taste in my mouth, as did the refusal to run a couple of apps. But I was reluctant to give back back the Galaxy Book 2, simply because I prize a laptop that allows you to work on the go with without worrying about running out of juice. In short, our recommendation remains essentially the same as the Asus NovaGo: If you can accept the risks and a bit of frustration, and prize battery life above all else—then yes, the Galaxy Book 2 is definitely the tablet for you. If you’re unsure, you may as well wait—faster Snapdragon chips are on the horizon.